SAN FRANCISCO: A panel of judges is considering whether the founder of Facebook, Mark Zuckerberg, duped former Harvard classmates in a $US65 million settlement of a lawsuit, which claimed he stole the idea for the social networking site, recently valued at $US50 billion. 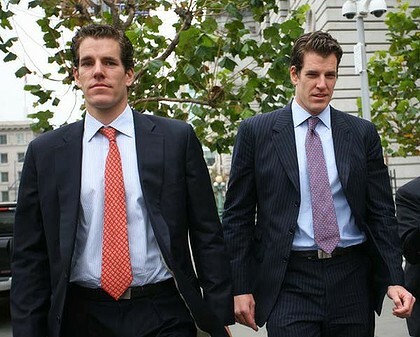 Twins Cameron and Tyler Winklevoss claim they enlisted Mr Zuckerberg to finish software code for their ConnectU website while students at Harvard in 2003. Mr Zuckerberg, then a second-year student, instead took their code and their idea and launched Facebook in February 2004, the brothers say. Facebook rejects this account. The twins signed a settlement two years ago that gave them $US20 million in cash and $US45 million worth of stock valued at $US36 a share. The brothers' federal court appeal contends they were tricked into the settlement. The three judges sent strong signals that they are disinclined to reopen the 2008 settlement. In the original suit, the Winklevoss brothers based the value of Facebook on news that Microsoft had bought a small piece of the website in a deal that valued the stock just under $US36, their lawyer, Jerome Falk, said. He argued that Facebook violated US securities law by not disclosing that it had valued the stock at closer to $US9 for options issued to employees at that time. Mr Rosenkranz argued that Facebook was under no obligation to volunteer the stock information during settlement negotiations and the information was not intentionally withheld. The panel is expected to rule in about three months.